One of the most memorable lines that my father used to tell me while I was a little kid was that the first hour after I wake up will determine how the rest of my day will be; in other words, that first hour would set my rudder in a particular direction for that day; the golden hour that would basically set the tone for how things would unfold for me that day. As a kid, I never really paid much attention and I got on with my life until recently when I decided to do some research on some of the most successful people on the planet, that I stumbled upon my father’s wise words again. Out of the hundreds of successful people, mostly millionaires and billionaires, that I researched, almost all of them happened to have a daily morning ritual, or what you would call a habit. Now, one of the things that I discovered about successful people is that the majority of them are aware of these rituals that they performed each morning, while some happened to be unaware of them yet they kept on repeating them each day without necessarily realizing the benefits that their actions brought to their lives. It also goes without saying that some, if not all of us, whether we know it or not also have daily morning rituals that we perform each day. The only difference however is that, some of our rituals are more beneficial to us than others in as far as preparing our minds and bodies for what is to come during the rest of the day is concerned. So what are some of these daily morning rituals that successful people perform each day to help them conquer the rest of the day? 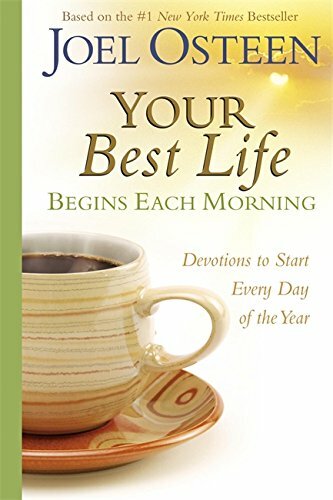 When you wake up each day in the morning, make sure that you try as much as you can to read something that is not only inspirational, but also uplifting. Stay away from the television and newspapers. You need something that is inspirational and which could also lift your spirits. Personally, I always read some of the success stories of people that are doing almost the same thing as I am, that is people who are in the same field of business as me or at times I would read the Bible. Yes, the Bible has some very inspirational and enriching passages. The book of Songs Of Solomon for instance, Psalms and Proverbs; Really deep stuff. You can also listen to some soft music such as Neo Soul and Jazz, or even a Podcast. Comedy central podcasts or live shows always works for me, and more often than not, I usually leave the house smiling and with a joke to tell at work to my colleagues. Stay away from newspapers, I don't need to tell you that newspapers and television would hardly have any benefits to your feelings and emotions. Reading something positive, inspiring and constructive would set a mental tone and state that will last for the rest of the day, and I can promise you that from the first day that you try this, you will immediately see positive results with things starting to go the right way for you. You will not only be more creative, calmer and alert but also more resilient and also able to respond more effectively and efficiently to the daily successes and disappointments that life throws at you. Just as you would be more physically resilient for the rest of the day from doing physical exercises in the morning, your brain too would be more resilient to the different pressures that you are bound to encounter during the day. The best time that you can plan your day in advance is the night before, when you can make a list of what you plan on doing the following day. Now this does not have to be a complicated list, try to make it simple. I prefer writing the list in point form, being as brief and precise as to the point. Arrange your list according to importance and the ease with which you can perform each one of the tasks. After you have made your list, you can then give priority to the most important tasks. You will be surprised at how easily you will be able to go to bed and wake up the following day in the morning knowing that you have already planned your day in advance. What I will challenge you to do today is to try and follow these simple yet beneficial morning habits so that you can be more productive and able to take down whatever the day throws at you. I would love to log on to infobarrel.com and see everybody motivated, happy and tackling all the tasks that they had planned to do that day. If you do these simple morning rituals, then I can assure you that you are going to have a wonderful day, every day. Stay focus and motivated, avoid procrastinating, if you need to do something, now is the time. I am going to try this in the morning! I can attest to your suggestions that how you start your day will usually set up how the rest of the day will go. Ninety-nine percent of the time I get up a half hour early to read scriptures, pray, and plan my day. I always write a list of what I want to accomplish that day. I get great satisfaction in crossing off as many of the to-do items on my list as I can. I feel I get a lot accomplished in my life. Of course, I need to be flexible because everything doesn't get crossed off my list that day and "wrenches" are usually thrown into the best of plans. I just move the activities/goals I do not get done to the next day and try again!